Hotel d’Angleterre is the jewel in Geneva’s crown, and the perfect place for an indulgent romantic retreat with the one you love. This luxurious five-star boutique hotel, elegantly poised on the banks of Geneva’s Lac Léman, has received 3 top accolades in Condé Nast Traveler’s 2017 Readers’ Choice Awards, most notably the #1 position on the list of “Top Hotels in Switzerland“. 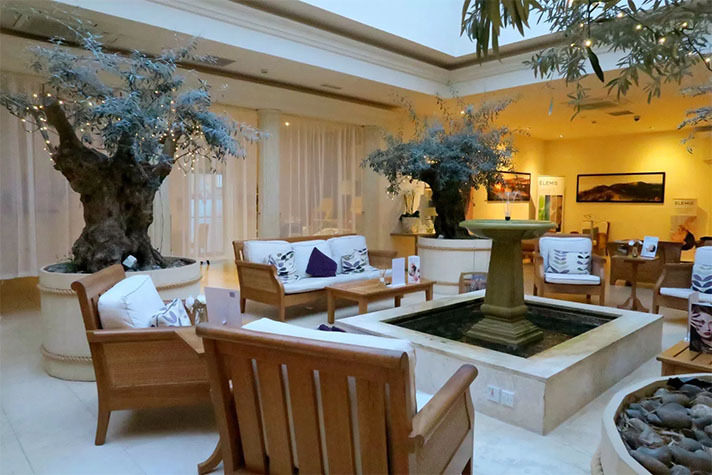 The hotel, which is part of the award-winning, family-run Red Carnation Hotel Collection, also placed #10 in the list of “Top Hotels in Europe“, and #22 in the “The 50 Best Hotels in the World” list. Quite an achievement! Hotel d’Angleterre has earned its acclaim through a winning combination of exceptional style, impeccable service, timeless elegance, and delicious cuisine. Dating back to 1872, the property sets the standard of refinement and sophistication for guests visiting Switzerland’s smallest big city and provides the ideal backdrop for a romantic getaway, honeymoon or city break. Couples who want to celebrate their love in style will enjoy our Swiss Romance package, which includes an overnight stay in a beautifully appointed room or suite; Bentley transfer from the airport or train station; a bottle of Ruinart Champagne and chocolate-dipped strawberries on arrival; romantic turndown service with rose petals, candles and massage oil; a glass of Champagne in the Leopard Lounge with a selection of canapés; full English breakfast with pink Champagne; a one-hour boat ride on Lac Léman (in summer only); afternoon tea or a picnic basket in the park; and late check-out. Filled with original works of art, Hotel d’Angleterre’s 39 elegant guest rooms and six magnificent suites cast a magic spell and set the stage for a romantic rendezvous. Each room is a unique statement of original style and features handcrafted furniture dressed in rich silks and sumptuous velvets, antique chandeliers, individually designed Stark carpets, James Hare silk wall coverings, and sleek marble bathrooms. Some rooms are cozily inward-looking, while others make the most of the stunning lake views. All rooms offer discreet modern technology, including complimentary high-speed internet access, interactive TVs, iPod docking stations, and movies on demand. Majestic views of the lake, Jet d’Eau, Mont Blanc, and the surrounding mountains are also the backdrop to the aptly named Windows Restaurant, where diners can gaze into each other’s eyes while enjoying the inventive international cuisine of Executive Chef Michael Coquelle and the signature dishes of Mrs. Beatrice Tollman, founder and president of The Red Carnation Hotel Collection. Meals are complemented by selections from the hotel’s extensive wine list, which are drawn from both local producers and the cellars of Bouchard Finlayson Winery, a Red Carnation sister company in South Africa. The hotel’s perennially popular Afternoon Tea is served at Windows Restaurant, and includes a range of specialty teas, including vegan and gluten free, as well as delicate finger sandwiches, freshly baked scones and sweet homemade pastries. Guests can also enjoy the food and drink at the sophisticated Leopard Bar, which comes to life in the evening with an extensive cocktail and wine list and regular live music, and cigar aficionados can retreat to the intimate wood-paneled Cigar Lounge. The icing on the cake at Hotel d’Angleterre is the legendary Red Carnation service, where “no request is too large, and no detail too small.” Guests appreciate thoughtful touches and caring details such as a choice of pillows, complimentary newspapers, a welcome drink on arrival, and even homemade chocolates. 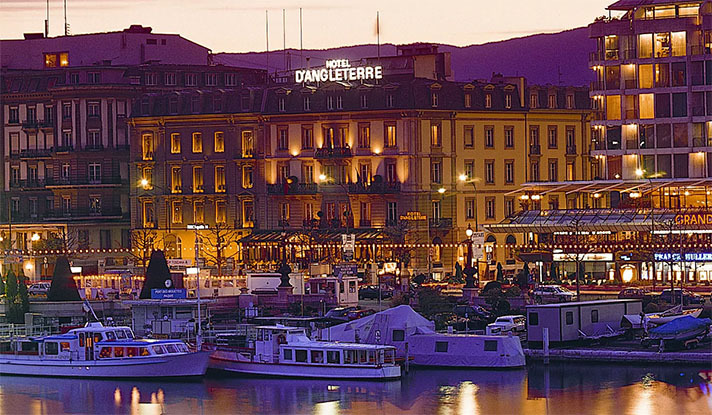 Hotel d’Angleterre is located in the heart of Geneva’s shopping and financial district, just 15 minutes from the airport, five minutes from the railway station, and an hour away from superb Alpine skiing. 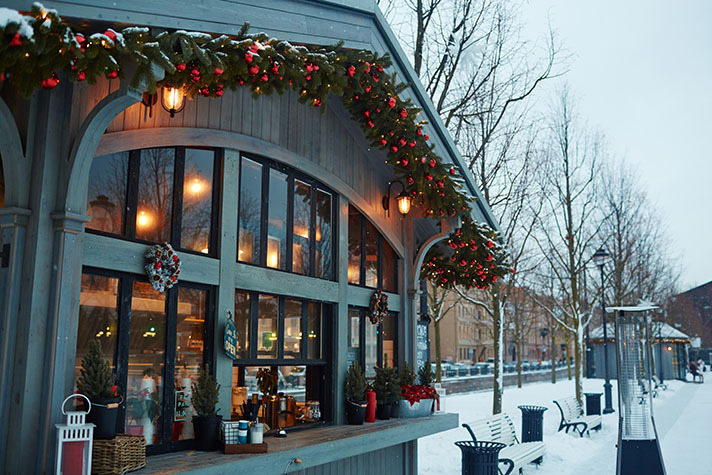 It’s a favorite home away from home for everyone from top-ranking diplomats, to Alpine adventurers, to high-flying business men and women, to carefree families. The price for the Swiss Romance package starts at CHF670 (US$531) including VAT for a Classic Room, based on double occupancy.